Nowadays it can be difficult to navigate the digital job search jungle with so many different job boards to choose from. We decided to decode the job boards for you so you can better choose which one to go to for what type of information in the future. Indeed: Indeed is a job board aggregator. Much like the Huffington Post pulls news from various sources and presents it in one convenient place, Indeed pulls jobs from other job boards. This is great for someone who wants to simply see the openings in their area, but has the broadest search functionality. If you are looking for a narrower focus, read on. Monster and Career Builder are the “old faithfuls” of the job board world. They have a variety of search functionality and allow job seekers to narrow down to a more exact result. These are great sites for those who are actively looking for a job, rather than just poking around. You can also save your resume and apply directly from their job listing, allowing you to skip a step in the application process. LinkedIn is a social job network, allowing you to connect with your friends and coworkers via your career profile and find people you may know that work at a company you are interested in. While LinkedIn is a great research tool for job seekers, many employers are using it to check out the background, recommendations, and connections of potential candidates. 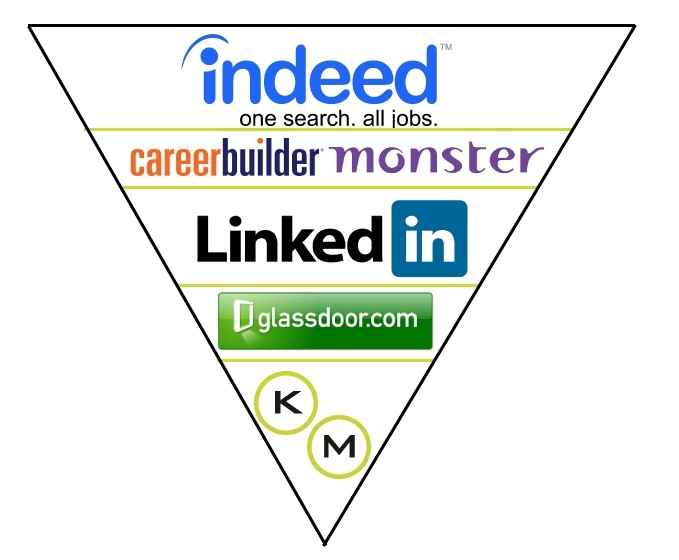 Even if you don’t choose LinkedIn to search for jobs, it is good to have a profile so employers can find you. Glassdoor, the Yelp of job boards, allows former employees to rate companies and provide reviews. This allows job seekers to research companies more thoroughly and get real insight into a day in the life of an organization as well as salary information.